What do trendy diets, new workouts, and self care tips all have in common? Not all of them work for everybody. Like it or not, we’re all unique, and so our wellness paths have to be, too. From the workouts that give us a surge of energy to the foods that make our gut bacteria happy, we’re in it sort of alone. But that’s actually amazing. That means you don’t have to stick with any plan that doesn’t help you flourish. You can craft your own holistic wellness plan for your needs, tailored to exactly what you like. Although there are quite a few herbs for anxiety, they’re no different. 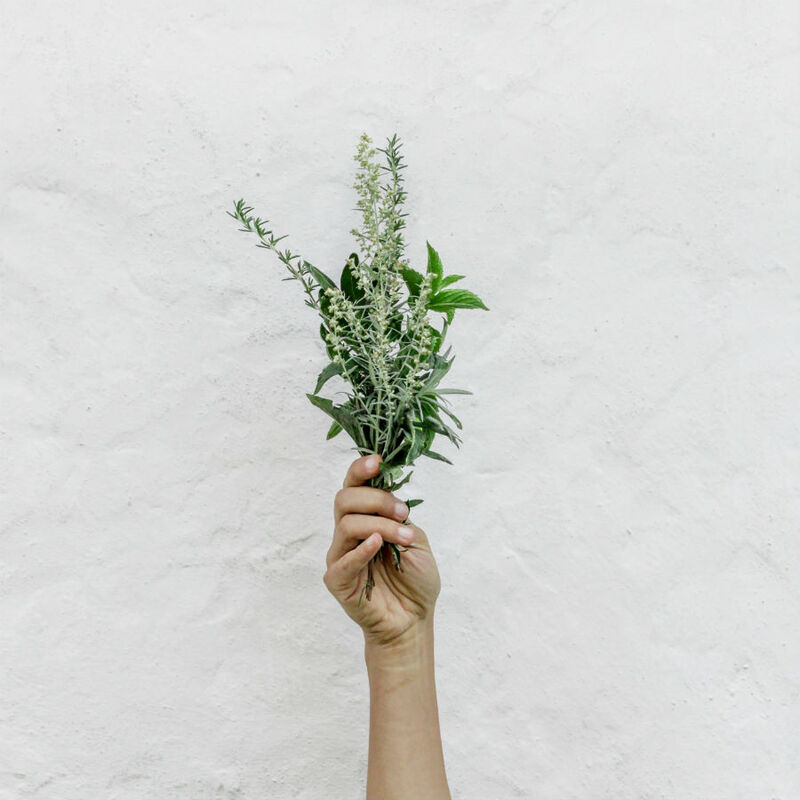 She generously weighed in on her favorite herbs for anxiety and how different plants can help reduce stress in different ways. Keep in mind that, as with most supplements for anxiety, they’re mostly tools for easing your worries over time instead of in-the-moment solutions — but Rachelle has a couple things to say about this. 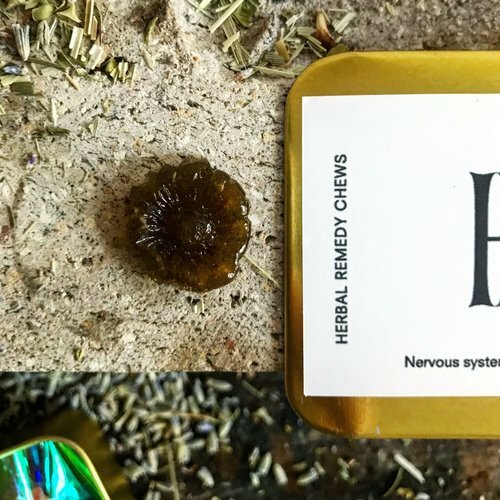 Rachelle’s Nerve Less HRBLS are made with lavender and oatstraw to tame your anxiety (plus vitamin B from the oatstraw), ashwagandha for long-term management, and skullcap for fast-acting stress relief. She’s essentially crafted a stress-busting gummie that’s a good night’s sleep, a hot bath, and a cup of tea all rolled into one. While this is the blend of herbs that Rachelle uses and has been recommending to clients for years, you might find other favorites. So we had her weigh in on her go-to treatments and some others. Trial and error can be frustrating. Especially when you’re waiting for things like anxiety symptoms, which affect your daily life, to disappear. When you’re adding in herbs for anxiety, make sure you’re taking the right dose. You should also give the supplement a month to kick in. It’s tempting to go crazy and add them all at once, but please resist. It’s impossible to judge how well a supplement is working for you if you can’t tell which one is working. Although I’m a huge fan of supplementing with CBD oil — you can see which products I use for anxiety management — I found that ashwagandha did far more for easing my anxiety overall, as long as I take it daily. Ashwagandha has been used for centuries in India, but it’s just catching on the U.S. Even though trendy supplements are using this herb in their formulas, other ingredients are getting the credit for their stress-busting effects (namely, CBD). But it deserves far more attention than it gets. Reported stress levels fell by 44% in participants given an ashwagandha tonic, one study found. And participants given the extract scored better on psychological tests measuring stress, anxiety, and overall well-being. Research credit these drastic effects to the ability of ashwagandha to lower cortisol levels. You will want to make sure you’re getting a high-quality supplement, though. I personally look for products using KSM-66 ashwagandha. This type has a high concentration of withanolides, one of the root’s active ingredients, and is certified non-GMO and 100% organic by the USDA. Ideally, find a supplement that uses black pepper as well. This spice boosts how much of the ashwagandha your body can absorb. The ashwagandha supplement I take has a serving size of 2 pills, which is a total of 1200 mg ashwagandha daily. But note that Rachelle says this is “a sort of foundational long-term support,” not an in-the-moment mood tamer. Like ashwagandha, rhodiola is an adaptogen. That means it helps your body adapt to stress and keep functioning at normal levels. Russia, Scandinavia, and Greece have all been using this herb for anxiety long before adaptogens became trendy. It can alleviate physical and mental fatigue because it boosts your red blood cell count, which carries more oxygen to your muscles and can bring down inflammation. You can get rhodiola as a capsule or a liquid supplement, and dosing instructions range from 100 mg to 680 mg a day. I personally supplement my ashwagandha with a liquid rhodiola extract that I mix into water. What makes valerian root a powerful herb for anxiety is that it boosts levels of gamma-aminobutyric acid (GABA) in your body. This neurotransmitter plays a direct role in our mood, and researchers think GABA may boost your mood or have a calming effect on the nervous system. Whichever it is, it adds up to less anxiety and a calmer mental space for many people who swear by the supplement. The root acts on your anxiety in two ways. First, it contains two compounds, valerenic acid and valerenol, that act as anti-anxiety agents. They go to work stabilizing your central nervous system. At the same time, your GABA levels go up, which makes it easier for you to relax. Although none of these herbs for anxiety are cure alls, they can take a big chunk out of your daily anxiety when combined with lifestyle changes to manage stress. You can get valerian root as a liquid supplement, capsule, or leaf form, which is used to brew a tea. 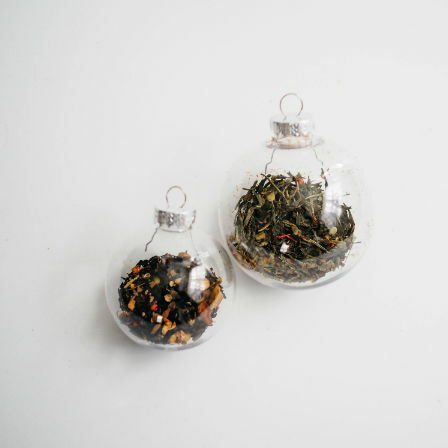 You can find the teas with just valerian root or combined with other herbs for different purposes like stress management and better sleep. Caps and liquids range from 450 mg to 1500 mg dosages. The symptoms of anxiety can be the worst part some days. It’s hard enough to stress about your job and keep working without the nervousness and excitability that can come with anxiety. But it’s exactly these symptoms that lemon balm seems to alleviate. A study from 2014 involved giving two groups of participants foods with lemon balm in them. One group’s food also contained artificial sweeteners while the other group’s had natural sweeteners. But all participants who ate lemon balm reported improvements in mood, in particular a reduction in anxiety. Another study showed how lemon balm can help with anxiety, even though that wasn’t the point of the research. When testing whether daily supplementation with lemon balm eased benign heart palpitations, researchers also found that the herb significantly reduced anxiety in participants taking it. Researchers have also found that a combination of lemon balm and valerian root can quell anxiety, but it’s all about the dose. And more isn’t always better. The highest dose they administered actually increased anxiety in study participants. When it comes to homeopathic remedies for anxiety, lavenders gets most of the credit. That’s not to say it isn’t deserved, though. 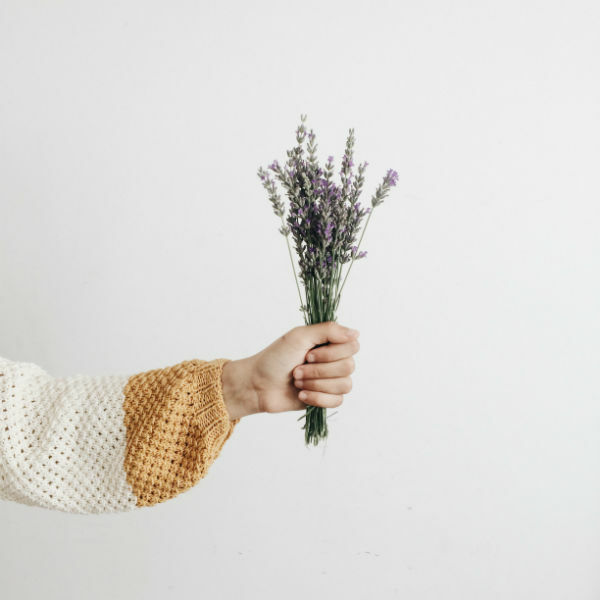 You might think of lavender as the herb you turn to when you want to fall asleep after the success of products like Lush’s Sleepy body lotion, but it also works wonders for anxiety. In fact, lavender works just as well as Lorazepam, a prescription anti-anxiety medication, when it comes to banishing stress. The anti-anxiety effects of this herb come mostly from its two active compounds, called terpenoids, linalool and linalyl acetate.These compounds work on the same serotonin receptors as many antidepressants and anti-anxiety medications. They also improve parasympathetic tone, which keeps your heart rate down so you can stay in the “rest and digest” phase instead of going into fight or flight mode. Thanks to its reputation, you can find lavender in a wide variety of forms from teas and capsules to lotions and sprays. The easiest way to use lavender for anxiety is probably a high-quality essential oil. Keep it in a roller to apply to your wrists and temples when you’re stressed at work, or put it in a diffuser if you’re unwinding after a long day at home. “Kava kava was the first herb I tried for my anxiety (as a very young person) and it’s still something I use quite often,” Rachelle tells me. “My clients have found a lot of relief from it and generally, it’s well tolerated and can be really excellent for calmness, physical relaxation, and as a sort of social lubricant.” She points to the success of kava bars as anecdotal proof. But you might not get such a glowing review if you were simply to Google kava kava. There’s some concern about safety with kava kava, but Rachelle isn’t concerned. “As with most herbs, supplements, and substances, our liver has to process it, which is where a lot of the concerns have stemmed from,” she explains. But there are studies that back up the anxiety-easing effects of this root. Kava has been shown to reduce anxiety, and researchers in a previous study noted no effects related to withdrawal or dependency in people taking the herb. So what should you do if you want to try kava, but you’re worried about your liver? “Moderation is key,” Rachelle says, “and if your liver is being taxed, or needs support rather than more work, it may not be the best herb for you.” So if you’re on medication, talk to your doctor or an herbalist before starting kava kava for anxiety. They’ll be able to advise, based on the strain on your liver, whether kava kava is best for your situation. Although most of us looking for herbal solutions today haven’t heard of it, oatstraw has a long history of medicinal use dating back to the Middle Ages and ancient Ayurvedic teachings. Do a little internet research and you’ll see people talking about oatstraw tea or making it into an infusion. But Rachelle uses oatstraw, one of her favorite underrated herbs for anxiety, without any water. It’s one of the main ingredients in her chill-inducing edibles, HRBLS. She wanted to work with ingredients that “aren’t simply sedating but rather nourishing for the nerves,” and oatstraw certainly qualifies. Additionally, this little herb also offers a potent punch of B vitamins, which Rachelle notes can also help quell anxiety. (It’s also been said to reduce your risk of heart disease and boost energy naturally. It may even improve physical and sexual performance.) There is science to back up the herb’s ability to boost cognitive performance, but it’s worth noting that the subjects were given a very concentrated extract. Most oatstraw supplements are marketed as brain supplements. If you want to try using this herb specifically to treat your anxiety, consider HRBLS or working with an herbalist like Rachelle. Taking a supplement with multiple ingredients will make it harder to tell which herb is responsible for improvements in your anxiety. But it may also be more effective in managing stress. Liquid versions of the herb start at around 970 mg dosing several times a day. But it’s always a good idea to start with one dose and work your way up slowly to test for side effects.